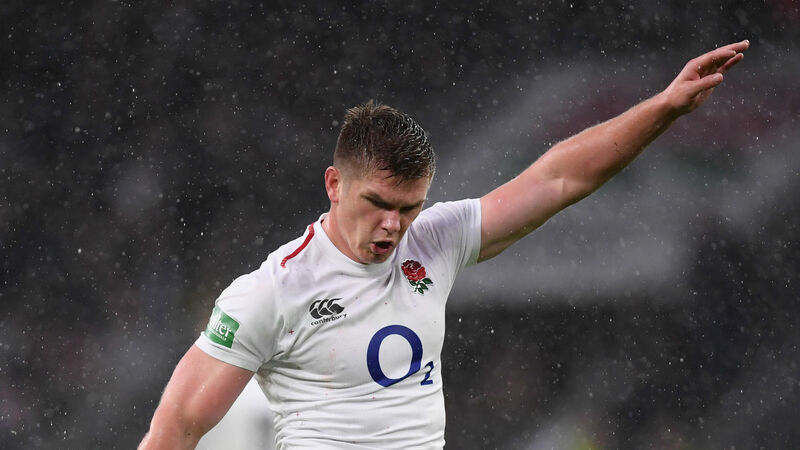 Owen Farrell was not overly disheartened by England's 16-15 loss to New Zealand at Twickenham on Saturday. The All Blacks overturned a 15-point deficit to take the lead in the second half, but England were denied a 75th-minute try when Courtney Lawes was deemed offside by TMO Marius Jonker after Sam Underhill dived over in the corner. Eddie Jones side were this time on the wrong side of a marginal decision, having seen Farrell get away with a controversial tackle on Andre Esterhuizen beyond the 80th minute in a 12-11 win over South Africa last weekend. The Saracens fly-half was not overly frustrated with the call because his primary focus is on beating the best teams in the world at the Rugby World Cup in Japan next year. "We are growing all the time – I don't think we want it all smooth sailing, we want to peak in 2019," the fly-half told Sky Sports. "Of course, we want to win now, that's exactly what we want to do, but we can use this [defeat]. We played okay but there's a lot to work on. We are pushing the best teams and we want to be the best. "Obviously, there were going to be mistakes with this kind of weather, but I'm proud of the way we stuck in there." Asked if he thought Underhill's try should have stood, he added: "I thought so, yeah. But I probably would do! "That's rugby, isn't it? These decisions can go with and against you. Today it didn't [go with us]." New Zealand captain Kieran Read was pleased to be going away from Twickenham with a win – his 100th as an All Black in 116 Tests. "Obviously there is a lot of relief – that was hell of a Test," said Read. "To go 15 points down we really had to go to the well. To keep the English to no points after 20 minutes is some effort."